As Calbuzz predicted and warned, self-anointed school savior Molly Munger (with an assist from her right-wing brother Charles Jr. and the underhanded Joel Fox), has driven Gov. 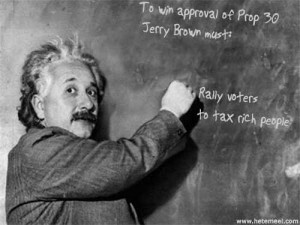 Jerry Brown’s Prop. 30, a measure to bolster the state budget and prevent draconian cuts to the schools, below 50% in the polls. While it clung to a narrow majority for months, Prop. 30 – after being attacked on TV –has fallen to 48-44% in the latest survey from the Public Policy Institute of California, down from 52-40% last month in the same poll. 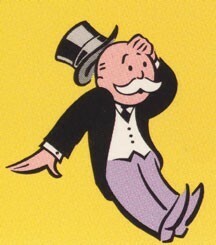 Of course, heiress Munger’s own Prop. 38 tax hike for schools, which never had a chance, has also fallen to 39-53%, from 45-45% a month ago. Just as we predicted. Brown’s Prop. 30 would fund schools by increasing taxes on earnings over $250,000 for seven years and the sales tax by ? cent for four years, and would also guarantee public safety realignment funding. About two-thirds of likely voters – 64% — favor that idea, compared to 59% who support raising corporate taxes (a feature of Prop. 39). Munger’s Prop. 38 relies on the least favored mechanism – raising the personal income tax across the board – which has support of just 25% of likely voters. One problem for Brown is that his measure includes a teensy temporary sales tax hike and only 28% of voters like the idea of raising sales taxes. But with widespread support for soaking the rich – 87% of Democrats, 59% of independents and even 33% of Republicans – Brown has only one option if he wants to get his measure back up over 50%: class warfare. He should argue on TV that his measure will force the rich to pay their fair share, which is why the phony Small Business Action Committee – funded by secret donations from greedy billionaires who have no interest in California’s school kids – is trying to kill Prop. 30. Our friend Dan Morain at the Sacramento B- ?lays out the case against the loathsome secrecy about the source of funds to Joel Fox’s so-called Small Business Action Committee. “It’s complete money laundering,” Brown said last weekend. The governor should continue to hammer at this. Too bad there’s no time to call Fox and his contributors before a Legislative investigative committee. We’d sure like to know how much he makes off all this in commissions, referrals or ancillary business. Maybe the FPPC’s Ann Ravel can compel disclosure through the courts. The LA Times and USC will be coming out with polling data Thursday and we suspect they’ll show the same thing PPIC found — that Prop. 38 is still sinking but now is pulling Prop. 30 under water, too. How Molly Munger can live with herself — after virtually every independent political analyst in California advised her that she would crush school finances by going ahead with her self-indulgent ballot measure – we have no bloody idea. — Twenty-four percent of likely voters would vote yes on Prop. 31 (changes to the state budget process and state and local government), 48% would vote no, and 28% are unsure. – Four in 10 likely voters (39%) favor Prop. 32 (prohibiting political contributions by payroll deduction), while 53% would vote no. – Barack Obama and Joe Biden lead Mitt Romney and Paul Ryan 53-41% in the presidential race. Six in 10 likely voters are more enthusiastic than usual about voting in the November election. Among Latino likely voters, it’s Obama over Romney by a staggering 52 points: 74-22%. – Latino likely voters have a 68-28% favorable view of the Democratic Party and a scathing 32-62% unfavorable view of the Republican Party. PPIC surveyed 2,006 California adult residents on landlines and cell phones Oct. 14-21. The survey identified 993 likely voters. The margin of error for all adults is ±3.2% and for likely voters it is ±4.0 percent. President Obama was right to label Mitt Romney’s views on foreign policy “wrong and reckless” in Monday night’s debate, which is why Romney backed away from all of those positions: he wants suburban women, in particular, to see him as a reasonable and sober guy, not some scary, bellicose reincarnation of George W. Bush. This is, of course, wholly cynical. Had Obama shifted positions on as many important political issues, the GOP and Beltway media would have carved him up and served him raw. But as frightening as it is to envision a Romney foreign policy, driven by the likes of John Bolton, Dan Senor and Tommy Franks, what should be truly scary to those suburban women is what Romney would do to the United States Supreme Court. “Moderate” as he has tried to sound, as he shakes the Etch-A-Sketch and erase his GOP primary campaign positions, a President Romney would radically alter the Supreme Court with devastating impacts on women’s rights, civil rights, immigration policies, environmental law, interstate commerce and much more. Romney has – after pretending to be pro-choice in order to win as governor of Massachusetts – returned to his LDS anti-abortion roots. 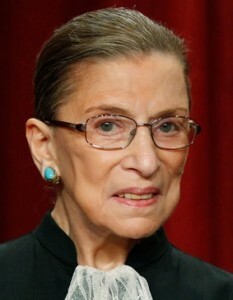 If he were to have an opportunity to replace 79-year-old Ruth Bader Ginsburg, and perhaps even Antonin Scalia and Anthony Kennedy, both 76, the Supreme Court would become a bastion of right-wing legal theology for decades to come. Those suburban women – Republicans, Democrats and independents alike – for whom abortion rights, access to contraception and equal pay for equal work are important measures of social justice, would find their interests utterly wiped out by the Romney Court. Too little attention is paid to this issue because it’s impossible to prove what kind of justices any president would appoint. But if you’re looking for clues, Winkler points out the centrality of Robert Bork and Clarence Thomas in Romney’s approach to the Court. Despite Romney’s recent move to the middle, don’t expect him to name a moderate to the Court. He’s repeatedly said he wants to nominate justices in the mold of Clarence Thomas, who is arguably the most conservative Supreme Court justice of the last 100 years. A recent study comparing justices’ views to public opinion found that Thomas was more conservative than 97% of Americans. 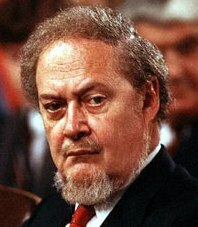 Earlier in the campaign, Romney named well-known conservative Robert Bork to be one of his lead advisers on the courts. Bork, you may recall, was nominated to the Supreme Court by Ronald Reagan, only to be rejected by the Senate because of his extreme views on civil rights (he once claimed civil rights laws infringed white people’s freedom of association), privacy (he called the Supreme Court’s opinion protecting access to contraception “utterly specious”), and free speech (which, he said, did not protect artistic or literary expression). Bork was also an early combatant in what is now known as the War on Women. He’s said that the Constitution’s guarantee of equal protection of the laws “should be kept to things like race and ethnicity,” not gender or sexual orientation. 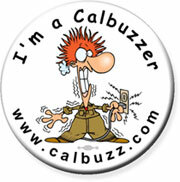 Calbuzzers aren’t likely to be swayed by these arguments because they are politically savvy readers among whom there are, we suspect, no undecided voters. But they may know some still wavering voters or be plugged into a campaign in Ohio, Virginia, Florida or Iowa where a healthy fear of what Romney could do to the Court just might persuade some of those suburban women Romney is trying to hoodwink. Romney who, throughout the Republican primaries, breathed fire and all but threatened one war after another, sounded reasonable and measured. People listening in for the first time (if that’s possible) would see Latter Day Shapeshifter as a moderate Republican internationalist. This is wholly dishonest. But the neoconservatives and other right-wingers who have rejoiced at having Romney as their sock puppet will likely keep their lips zipped because ousting Barack Obama is more important to them than being honest or consistent when they know their positions are unpopular. That “date certain” for getting out of Afghanistan that just a minute ago Romney said was a terrible mistake? Romney now thinks it’s just swell. Drones? Doing a heck of a job, Barack. 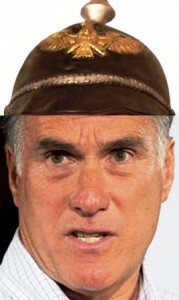 Maybe this will work, and Romney will convince some numbnut voters he’s not just a flip-floppin’ opportunist. But his attempt to present a small target may have backfired when he tried to portray himself as a moderate man when it came to bailing out the auto industry where, as every schoolchild in Toledo knows, he actually argued to let the car makers go bankrupt. We take you now to betting sitesMediaite, which did a great job of summing up the exchange and its importance. 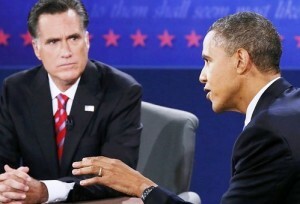 “Governor Romney that’s not what you said,” President Obama cut in. The federal government should provide guarantees for post-bankruptcy financing and assure car buyers that their warranties are not at risk. That’s A) not the same thing as a loan, and B) not helping them “through bankruptcy.” Without bridge loans from the government, there was no private capital available at the time to get them through bankruptcy, and even those commies at The Economist agree there would have been some liquidation. Romney’s plan was, essentially, to let the car companies crash hard enough to kill off retiree benefits and decent-paying jobs, then let some private financiers, with government guarantees, waltz in and buy the bones on the cheap. More than foreign policy, this exchange may have been the single most important moment of the debate in terms of affecting votes in the one place that matters: Ohio.